DACIN SARA defend and represent the moral and patrimonial author rights of film directors – audiovisual works, works of fiction, documentaries, animation as the main authors (Law 8/1996, Art. 65); of authors of original screenplays; of adaptation, dialogue, fiction films, documentaries, animation; of authors of work of animation graphics, residents associate members through CONTRACT – MANDATE. DACIN SARA may represent, by ORDA delegation, certain rights of producers of audiovisual works, residents as well as non-residents, by means of arrangements. DACIN SARA has mandate to represent the interests of authors of audiovisual works regarding the collection royalties due from cable retransmission, from March 31, 2000. 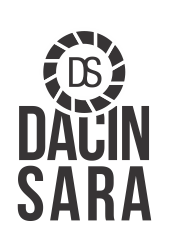 DACIN SARA is a member of FERA – Federation Europeene des Reslisateurs de l’Audiovisuel, headquartered in Brussels, who gathers 32 organizations of European directors and 28 CMOs from around the world.